To understand what the rock is, firstly we describe distribution of, and elemental abundances in minerals. Size of a mineral varies from meter- to nano-scale, and our nominal microbeam technique allows description of elemental distribution down to sub-micron scale. Before and even after analysis, we have to see what is going on there. 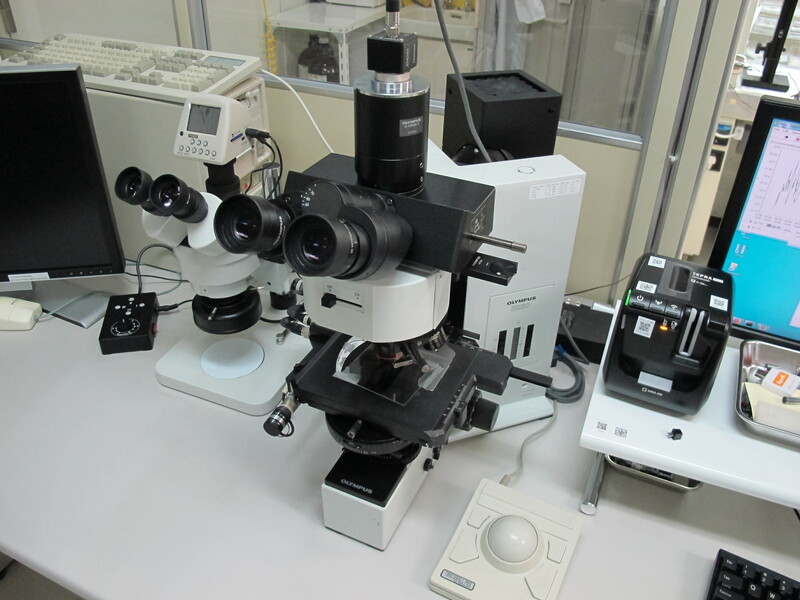 The optical microscope can see three-dimensional structure when the sample is prepared in thin section. Following a nominal optical observation, we describe distribution of minerals using electron beam, and quantitatively determine their major element compositions using X-ray spectroscopy, that is, electron probe micro analyzer (EPMA) equipped with five wave-dispersive X-ray spectroscopes (WDS). 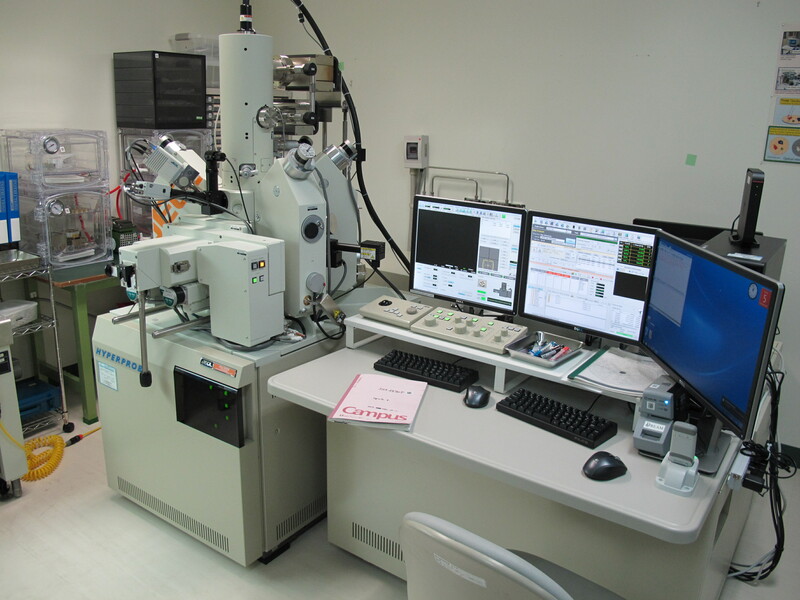 Our EPMA has the field emission (FE) gun and enables us to easily access highly stable and bright electron beam to achieve high spatial resolution images and elemental maps at submicron scale. 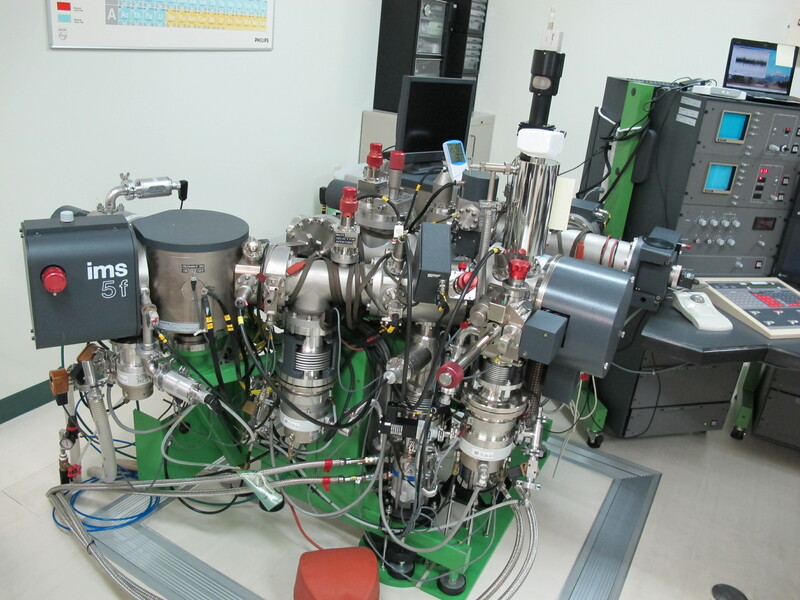 We have interests in distribution of trace elements, too; for this purpose, we apply secondary ion mass spectrometry (SIMS). Ion beam focused to ~10 micron in diameter will sputter area of interest to ionize mineral-consisting elements. The ions of concern are mass filtered and the ion intensities are determined by ion counter. The direct ion detection makes this technique high sensitive and allows determination of trace-element abundances. The nominal sensitivity is 0.1 micro g/g (or ppm). 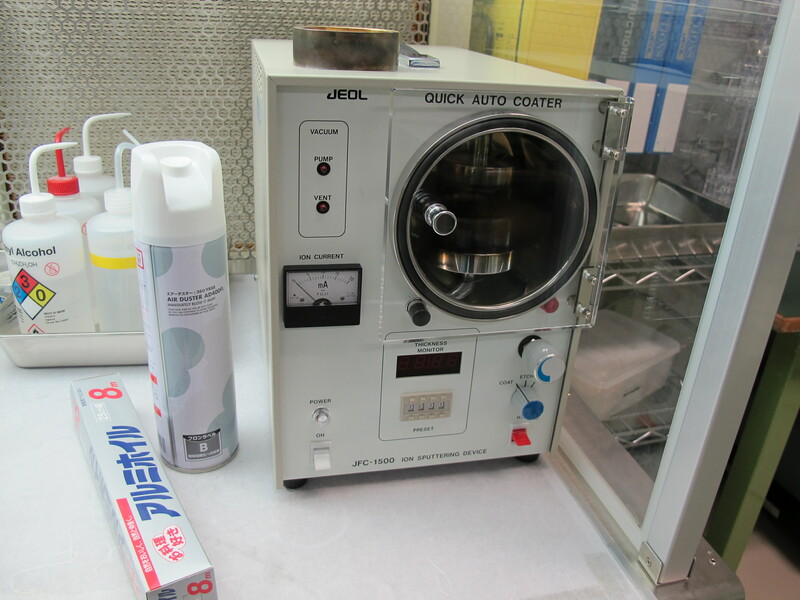 Since the probe analyses incident charged particles to the surface of the sample, coating to grantee conductivity is necessary. We prefer carbon for electron probe and gold for ion probe. Textural observation on minerals with polarizing plates and high-precision optical lenses. Textural observation on grains with spatial resolution of sub-micron using electron beam. Determination of major-element concentration using X-ray on area of spatial resolution of sub-micron. Determination of concentrations of H, Li, B, F, Cl, Sr, Y, Zr, Nb, Ba, La, Ce, Pr, Nd, Sm, Eu, Gd, Dy, Er, Yb, Lu, Hf in most silicates and phosphates with scale of 10 microns. Determination of isotope composition of B in tourmalines (containing ~3 wt.% B) with scale of 10 microns.